Carlos Rodríguez was born in Madrid in 1975, and he was only 13 when he reached the Spanish National Ballet’s final auditions. His professional dancing career began with the Ballet Teatro Español under the direction of Rafael Aguilar. Rodríguez was a guest soloist with the Real Conservatorio Profesional de Danza in 1992. In 1994, he won the award for the most outstanding dancer at the Certámen Nacional de Coreografía de Danza Española together with Rojas, and he worked for the Teatro de la Zarzuela, under the direction of Emilio Sagi. Rodríguez has admitted that although he has performed and knows pure flamenco well, it does not appeal to him, and he understands that the flamenco of his parents does not speak to most people his age. Partly born of his drive to innovate within flamenco, in 1995 he co-created the Nuevo Ballet Español with Rojas, and their company’s performances have been responsible for attracting a whole new audience to flamenco. 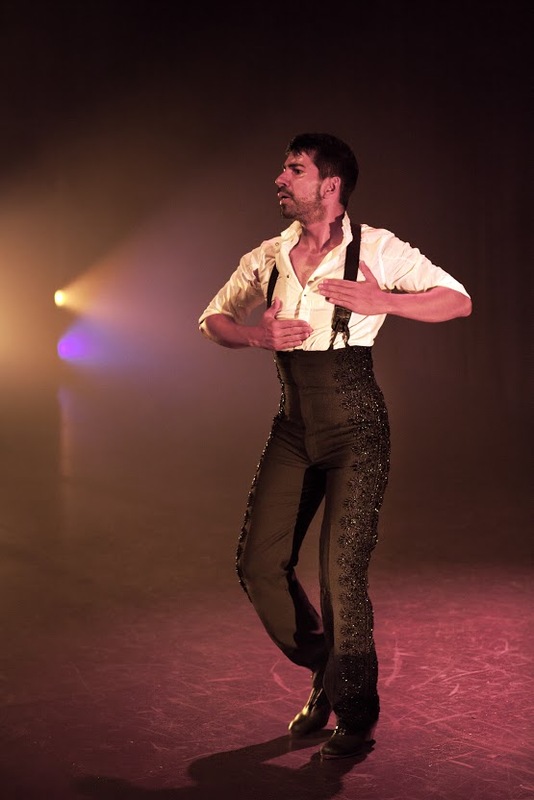 In addition to touring with the Nuevo Ballet Español, Rodríguez has choreographed and danced for the José Antonio Spanish Ballet, and he teaches privately and has designed some of the costumes used in Furia. The Ensemble Español Spanish Dance Theater, under the leadership of founder Dame Libby Komaiko, artistic director, Irma Suarez Ruiz and executive director, Jorge Perez, is the premier Spanish dance company and center in the United States to have in-residence status at a university, Northeastern Illinois University, Chicago. The Ensemble's mission is the preservation, presentation and promotion of the classical, folkloric, Flamenco and contemporary dance and music traditions of Spain.